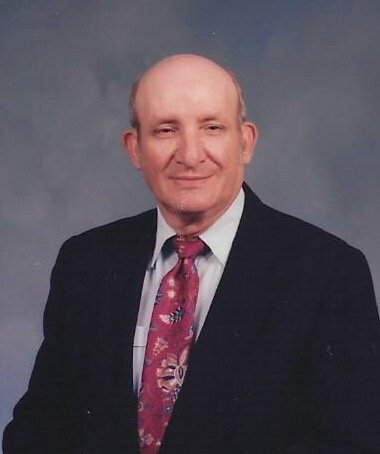 Rayford Adams, 83, was born January 13, 1934 in Reform, AL and passed away June 18, 2017 at Baptist Memorial Hospital – DeSoto in Southaven, MS. He is survived by his wife, Elsie Adams; one daughter, Judy Tatum and her husband, Johnny of Southaven, MS; two sons, Timothy J. Adams and his wife, Connie of Omaha, NE and Douglas E. Adams and his wife, Marsha of Kosciusko, MS; one brother, Billy Ray Adams and his wife, DJ of Madison, MS; four grandchildren, Donna Adams, Melissa Walker and her husband, Doug, TJ Adams and his wife, Victoria, and Adam Tatum and his wife, Carrie; seven great grandchildren; and several nieces and nephews. He was preceded in death by his parents, William F. and Flora Mae Adams; six sisters, Ella Mae, Louise, Nell, Lynita, Alice Faye, and Gertrude; four brothers, Williard, Marshall, Daniel, and Paul; and one granddaughter, Donna Tatum. Visitation will be Monday, June 26, 2017 from 11 a.m. until the service begins at 1 p.m. at Cornerstone Church, 5998 Elmore Road, Southaven, MS. Burial will follow in Twin Oaks Memorial Gardens in Southaven. In lieu of flowers, the family requests that any memorials be made to the missions at Cornerstone Church.